The latest success story is east China’s Jiangxi Province where the capital Jinggangshan has now been officially declassified as an impoverished area. Through a number of local programs such as poverty relief projects and government assistance to start businesses, boosting rural infrastructure and creating employment opportunities for the less privileged, Jinggangshan managed to reduce the number of people living under the poverty line to just 1.6 per cent of the population. The countrywide standard is two per cent. According to official figures, there are 55 million people currently living in poverty. One of the cornerstones of the current National People’s Congress 13th five-year plan is that it aims to significantly reduce poverty by 2020. Other provinces have implemented several strategies to alleviate poverty in different sectors, notably “e-commerce, financing, industry, relocation” and infrastructure improvement. On Saturday, Chinese Vice Premier Wang Yang said that teams of experts should be dispatched to the provinces to ensure that officials were on track to implement the national and provincial goals of poverty alleviation. Other provinces, meanwhile, are more ambitious. 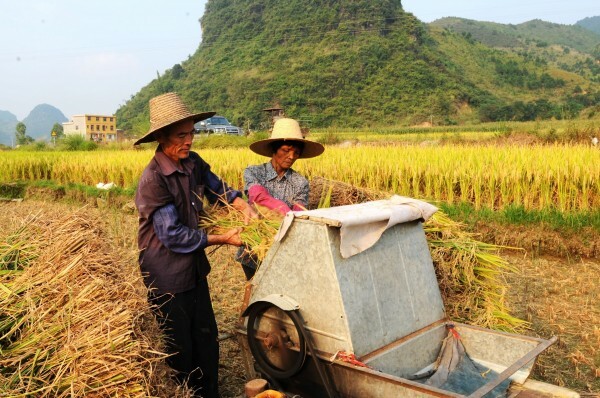 Sichuan province in the southwest wants to lift more than a million people out of poverty this year, while Shandong province in the east wants to eradicate poverty for some 2.42 million people by next year.